Well the end of the year has been a most productive one indeed. Along with my recent strip in Dogbreath 29 and finishing the short for 100% Biodegradable (due out in March) with cover too I’m also extremely pleased to announce that I’ve been commissioned to draw Rom Of The Reds by none other than John Wagner! Yes that John Wagner, the creator of Judge Dredd, Strontium Dog, History of Violence and many many more. The story is also co-written by another legend. Alan Grant (Batman, Judgment on Gotham, The Bogie Man etc etc). Jesus I’m working with T.B. Grover! Didn’t see that one coming. Seriously, I can’t believe I’m working with these guys. For as long as I can remember I have read their stories and dreamt about working with them one day. To be able to do so is an honour. And one I will give my all. The books will be released by Glasgow’s Black Hearted Press (BHP) and the pages themselves will be coloured by Sha Nazir (Laptop Guy) which I can’t wait to see as it’ll be the first time I’ve had my art coloured by another artist. The first books should be set for release at the Glasgow Comic Con in the summer. Here’s the offical BHP press release. 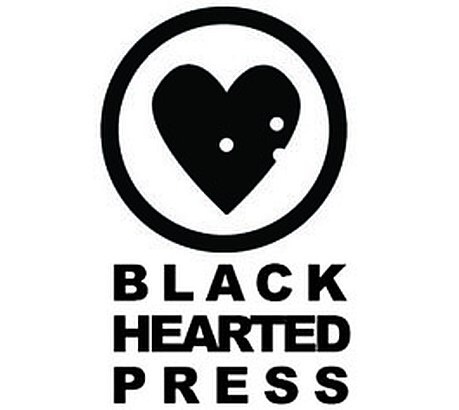 Keep your eyes here and on the Black Hearted Press Web page for updates, news and previews. Also check out all the other awesome goodies they have and the many conventions that they organise. Maybe pop along to one and say hi. 2015 is the year of ROM!